On it way to Canton, Mississippi to cover the historic union election at Nissan, Payday Report’s car “The Judge Hanson” blew out a tire. Due to the generous donations of our readers, we were able to get it fixed and back on the road. Help keep Payday on the road. Donate here. 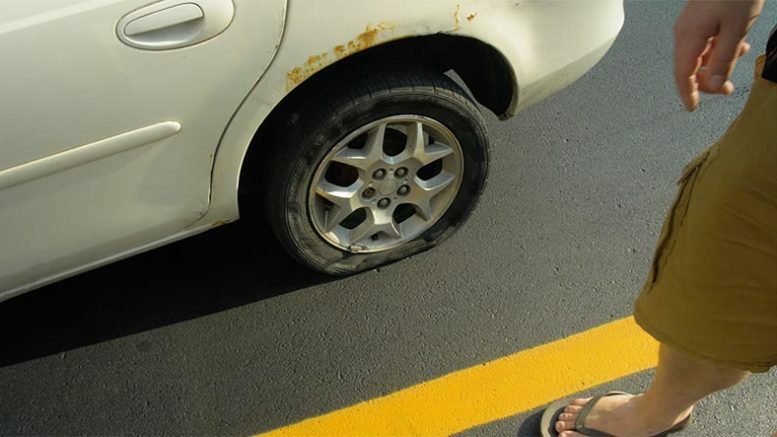 Be the first to comment on "Watch: Payday Gets a Flat on its Way to Mississippi to Cover Historic Nissan Union Election"